8,43 € 8.43 tax incl. Ideal to refurbish the cockpit of your two wheels. With TEKNIX we offer a good compromise. 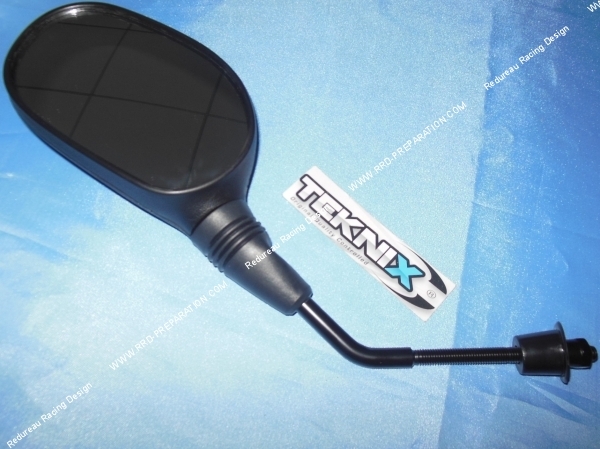 Universal model and approved EC, combining quality and attractive price, here the left mirror for your mécaboite, scooter, motorcycle or moped! 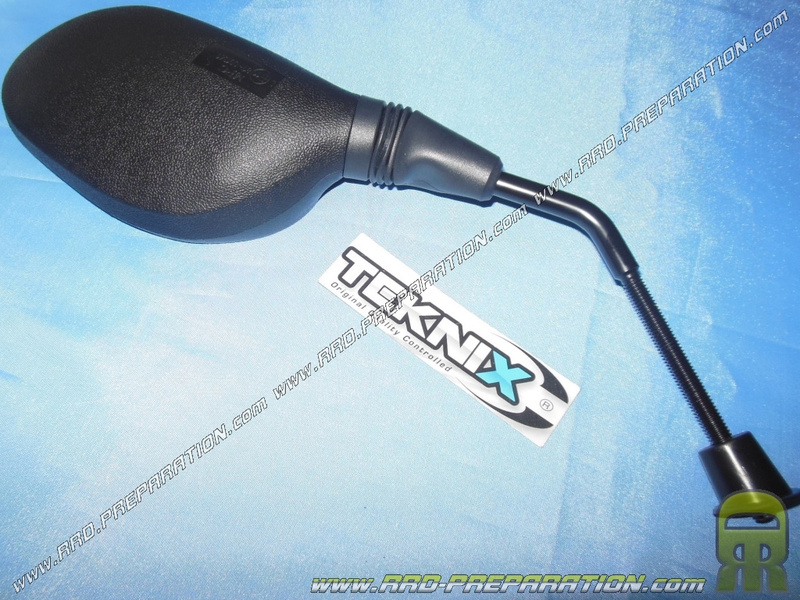 Black in color, it has a fixation with threaded rod 90mm in length with an 8mm diameter screw right. We also recall that the use of the mirror is mandatory and allows safe and controlled driving.